Online editions – click to see the full collection! Bollington Live! needs your support! The magazine is written and produced entirely by volunteers, a variable team of around 10 people who create three issues each year. We meet twice for each issue, about 1 hour each time, under the chairmanship of Kate Gooding. 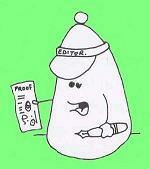 The editor’s role is crucial to the production of an interesting and broad spread of articles. The editor works closely with Matt Wray at the Bollington Printshop to put each issue together. Advertising: Mark Stedman 01625−575227, Michele Leigh. See the Rate Card below. Distribution: Janet Beech and 30 volunteers – email or call Janet on 01625−574618 if you’re not getting your copy! Editorial group: The group is made up of people, young and a bit older, who have an interest in the town and like to publish a document that records the history and activities of the town. You can join this group – just email the editor, and you’re in! We usually meet twice per issue. Our January meeting has, since 2007, become our AGM. Read more on the Help! page. Contributions to: The Editor, c/o Bollington Printshop , The Old Stables, Queen Street, Bollington, Macclesfield SK10 5PS or by email. Sponsors: As a free magazine, Bollington Live! has to find income to cover its total production cost. This is partly covered by advertising (see the Rate Card) but also, most importantly, by corporate sponsorship. The following companies and organisations have very kindly sponsored the magazine in recent times: The Adelphi Group Ltd. , Bailey Business Park Ltd. , Slater Harrison , Bollington Town Council , Portrait Pools , Bollington Civic Society, Tullis Russell Coaters Ltd. , Bollington Health & Leisure , R. A. Smart Textiles , Cutlers Cleaning Services , Sycamore Quarry: Earl’s Stone . We are very grateful for the continuing support provided by all these companies and organisations. Without this support Bollington Live! could not be published. Advertising: If you would like to advertise in Bollington Live! please email Mark Stedman (see the Rate Card below). Everyone with an interest is welcome to attend our meetings; please email the editor for details of the next meeting. October edition by the last Friday in September covering the months of November, December, January and February. Click image to see full size.